How could a workshop in Germany end up enriching the jazz life of both Poland and Denmark? The answer to that is the compelling story of an unexpected wave of Polish-Danish jazz cooperation. For more than ten years, that story has been unfolding, and here you can get a taste of it! In 2002 Polish jazz tenor saxophonist, Tomasz Licak began attending a meeting for jazz musicians on the German island of Rugen. Here he met a group of students from Carl Nielsen Academy of Music (now Danish National Academy of Music) who ran a workshop. The approach the young musicians had to music charmed Tomasz and they struck up a friendship. So it was no great surprise when they suggested to him that moving to Denmark to continue his studies might be a good idea. In 2005, he did just that, and began his studies in Odense. Two other Polish musicians joined Tomasz, saxophone player Bartlomiej Wawryniuk and guitarist Marek Kadziela. And in short, they started the ball rolling for the jazz exchange between Denmark and Poland. However, it wasn’t just by studying here that they inspired countrymen to come to Odense to learn. Tomasz and Marek started a quartet called KRAN with Danish musicians Richard Andersson (bass) and Kasper Tom Christiansen (drums). KRAN went on tour in Poland, playing concerts and leading workshops. While doing this they told about the Danish musical education system. Being based in Denmark was the most powerful experience of my life, both as a person and as a musician. I learned much from Danes, I made many friends and experienced a lot. I always feel at home in Copenhagen or Odense, and mentally I think I am Danish to a large extent. This got things going. For the entrance exams in 2007, a multitude of Polish applicants showed up. As Tomasz Licak explains, this was the beginning of a chain reaction, bringing fresh Polish musicians to Odense, Esbjerg (Danish National Academy of Music) and Copenhagen (Rhythmic Music Conservatory). Of course, this meant a lot of cooperation between the Poles and their Danish colleagues, going on tours, working with international names, recording, and winning prizes together. “There is a huge difference between rytmekons (colloquial term for the school, red.) in Copenhagen and all other conservatories in Europe. It is not just Poland. It is almost as if everything is scrapped, music theory and history, musical notation and nodes. There is an enormous focus on artistic direction, artistic expression, and not so much on what you have learned before. The main thing is do you have something to say as an artist? The focus on expression and the open approach is the thing that all the musicians we have talked to underline, as what made them fall in love with the Danish system of higher learning in music. The Poles generally had a higher level of technical expertise than their Danish co-students, and that fact made the whole experience into a true exchange. We were all inspired by each other and formed all kinds of constellations of Danish-Polish bands. The environment was open and extremely creative, in part, thanks to the conditions we had in Odense. Copenhagen Jazz Festival is one of the highlights of the year. I am more excited about it than children are about Christmas presents. Thousands of people from all over the world arrive to hear jazz of the highest international quality, and meanwhile they experience small, unknown things that they will never forget. You can play in the big concert halls, and there are many jazz clubs. Besides, it seems like more people go to concerts than in Denmark. Live music has a special place in Poland; concerts are often sold out, also at the larger venues. Some festivals can attract audiences of about 1000-1300 for a jazz concert. 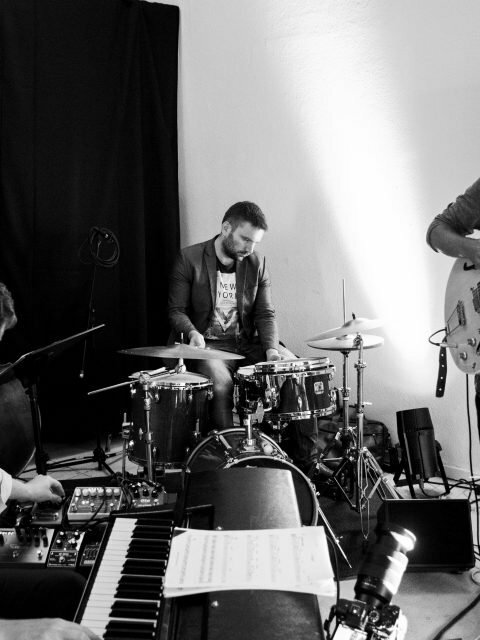 Although the new wave of Polish-Danish jazz exchange started about ten years ago, the connections between the two countries’ jazz scenes go deeper. Back in the 60s, jazz pianist and composer Krzysztof Komeda, internationally known for his soundtrack to Rosemary’s Baby, scored several movies by lauded Danish director Henning Carlsen, among them the highly appraised Sult (Hunger) from 1966. Through the years, several Polish musicians, including legendary trumpeter Tomasz Stanko, played at the historical club Jazzhouse Montmartre in Copenhagen, often sharing the stage with Danish colleagues. The collaborations also continue among the older jazz generations, presenting listeners with such acts as Tomasz Stanko Quintet, which has Danish Jakob Bro on guitar and Anders Christensen playing the bass. The quintet released the award-winning album Dark Eyes in 2009. We feel like we have something special, neither 100% Polish nor 100% Danish. We are not 100% part of the Danish scene, and in Poland, we are also looked upon as strangers, with an entirely different set of opportunities. Because of this, it is pretty natural that we try to stick together and stand guard over the values we have created together. We are working on the establishment of an association with the purpose of strengthening the Danish-Polish cooperation, also because many Danish musicians have toured in Poland, have experienced something special, and have been shaped by it in a certain kind of way. The initiative of Radek and his kindred spirits is certainly to be applauded. And the Danish Cultural Institute look forward to following the further development of this success story of cultural exchange! A warm thank you to the four musicians we interviewed: Tomasz Licak, Radek Wosko, Artur Tuznik and Ania Rybacka. They are all achieving high praise for their music, playing/singing in different projects, such as: KRAN, Trouble Hunting, The Beat Freaks, Atlantic Quartet, Artur Tuznik Trio, The Art of Escapism and Sphere. 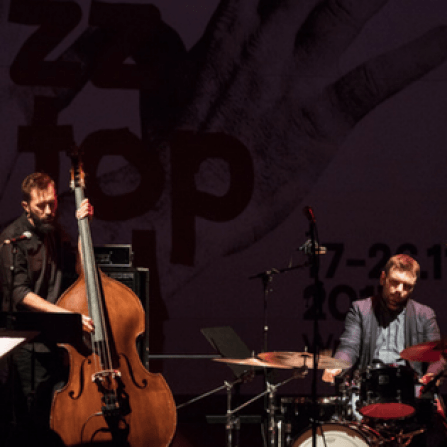 For experiencing good jazz music in Poland Radek Wosko recommends a visit to Akwarium or 12on14 in Warsaw, as well as the Jazztopad Festival in Wrocław.